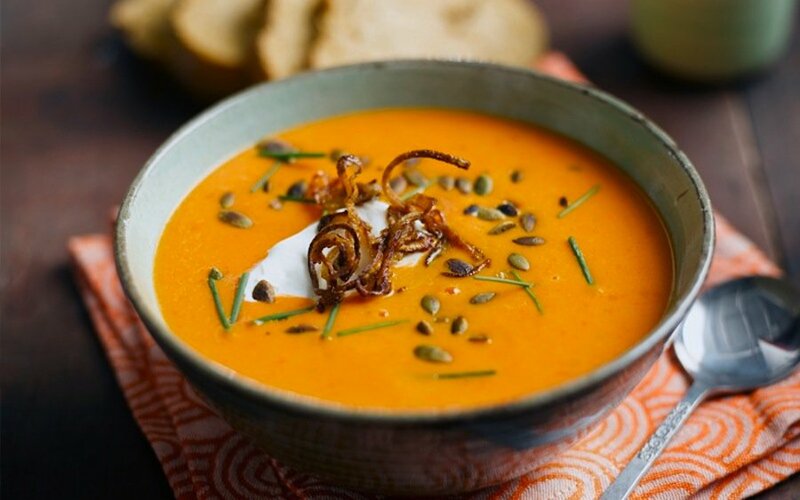 Fight off the first chill of autumn with these delicious warming soups – we’ve put together three of our favourite recipes that you can cook ahead and enjoy. This pumpkin and red pepper soup is a perfect autumnal warmer. 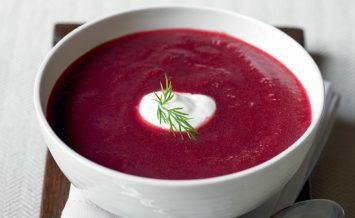 Serve with a big dollop of low-fat crème fraiche and some warm crusty bread and make the most of the fruits of the season! 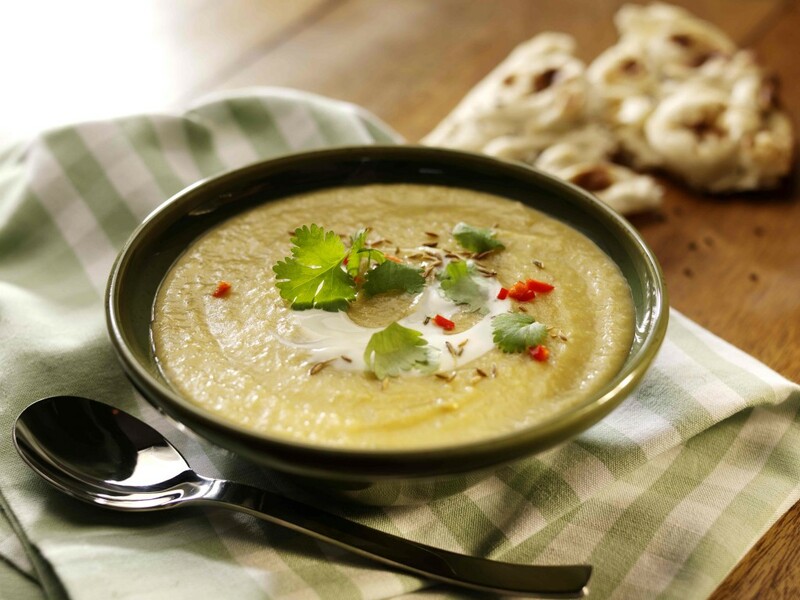 This spiced leek, potato & lentil soup gives a tasty twist on the traditional Vichyssoise and is delicious served with either warm crusty bread, or authentic Indian naan bread too! 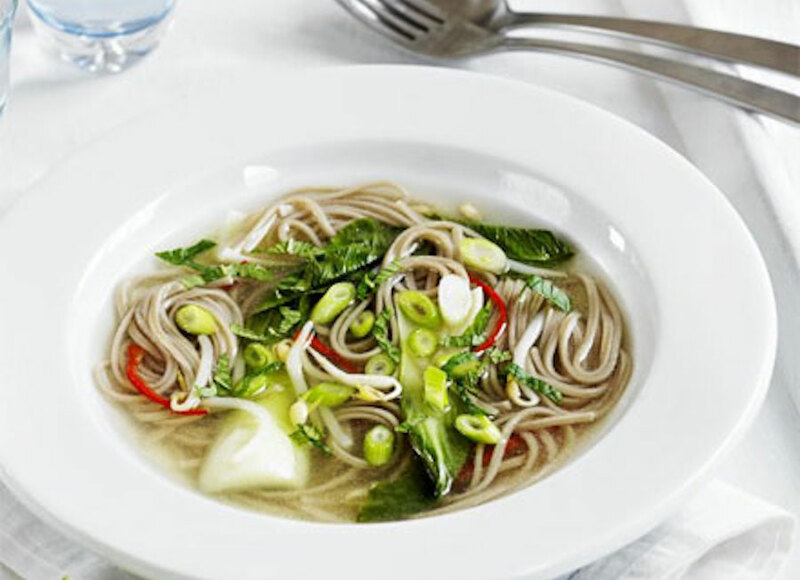 This is a simple recipe for an extremely vibrant, healthy and tasty Thai Chicken Noodle soup that’s a spin on a classic and perfect for a light lunch or supper. 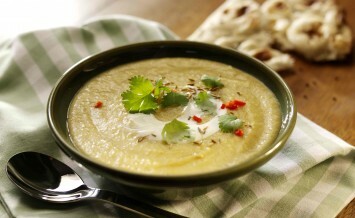 I make leek and potato soup , but next time I'll try this one . They look like good recipes. Can’t beat home made soup, and a generous chunk of fresh crusty bread of course. 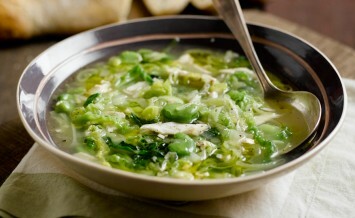 Have a similar recipe for Leek and Potato soup and it is delicious.